Great Leighs racecourse and Newcastle's planned all-weather track can apply to host fixtures next year, the British Horseracing Authority has announced. Essex course Great Leighs, which will be known as Chelmsford City, had its application rejected in 2012 and 2013. 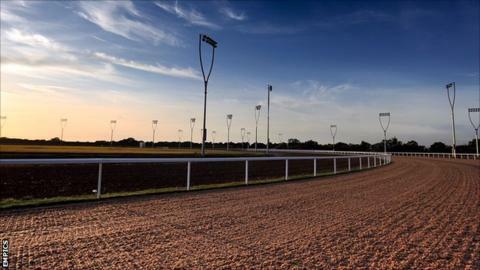 Newcastle hopes to have races on the world's only floodlit straight mile. BHA director of racing Ruth Quinn said the decision "should not be interpreted as a guarantee or indication of an expansion of all-weather fixtures". Quinn added there was also no guarantee the overall fixture list would be expanded to accommodate meetings at the venues. "We continue to develop the fixture allocation process, part of which involves determining customer demand for fixtures and the scope of the horse population to meet such demand," she said. Great Leighs, the first new racing venue in the UK for 81 years when it opened in April 2008, was initially open for less than a year, closing when the course went into administration and had its racing licence revoked.